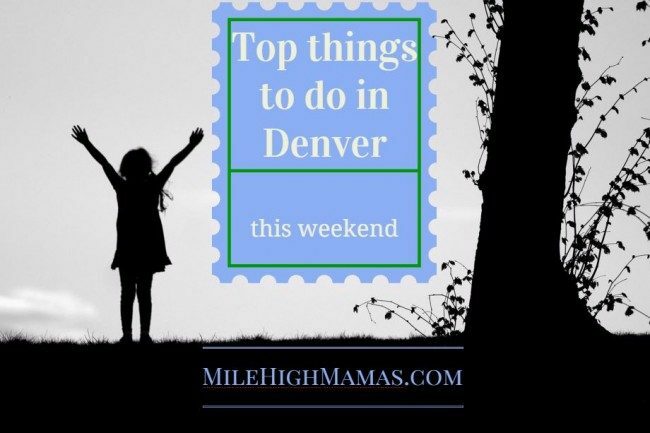 There are so many fun events this week including the Kid to Kid in Arvada Grand Re-Opening, Fall Festival, Oktoberfest and more. See our event calendar for more information. Come celebrate new changes and new ownership of the Kid to Kid Arvada store. Grand re-opening activities including face painting, discounts, giveaways every day of the grand re-opening, and one lucky winner will win free clothes for an entire year! A gem of a show! Beads of every kind… gemstones, vintage glass, seed beads, kits and findings. Open to the public as well as the trade. From Superfly, the creators of Bonnaroo and Outside Lands, comes Grandoozy, a brand new festival experience designed to celebrate the culture and spirit of Denver and the greater Colorado region. Taking place September 14-16, 2018 at Overland Park Golf Course, this three day festival will feature a range of iconic and local artists and musicians, the city’s best food, craft beer and spirits and a nod to the region’s creative community and love for the great outdoors. For over 30 years, Downtown Boulder’s Fall Fest is one of Boulder’s most beloved community celebrations. The 3-day autumn festival features live music, great food, local micro-brews, wine and margaritas, children’s activities and over 100 artisans presented by Firefly Handmade Markets. Traditional Family Friendly Oktoberfest 16 years and still going. German food, German entertainment, German Gemuetluchkeit and more fun that includes Frueschoppen, a Mustache competition, Dachshund Races, Stein Hoisting, Stein carrying race and more competitions for adults and children. Every Second Friday of the Month. Travel back to 1859… for free! Enjoy historic demonstrations, a tour of the Four Mile House Museum—a Denver landmark!—and meeting our many farm animals. Our Hay Bales & Tall Tales story and activity time will also be offered from 12-1 pm. The History Colorado Center is happy to open its doors for families who prefer a lower sensory museum environment. The museum will be closed to the general public, attendance limited and sounds in the exhibits turned down. Come and enjoy! Saturday & Sunday, September 15, 16, 22 & 23. Our largest family event of the year and the only owl festival in the Denver-Metro area! Join us for live owl demonstrations with Nature’s Educators, a hidden owl scavenger hunt in our Native Plant Gardens, owl pellet dissections, educational owl booths, owl crafts, live folk music from local Denver band Nearly There, delicious eats from the HipStir Wagon food truck, and owl merchandise from local vendors. Chili Bowl is Studio Arts Boulder’s free annual street party! Chili Bowl celebrates community, the studio arts, great food, music, drinks, and our neighborhood! Chili Bowl 2018 will include: CHILI COOK-OFF: Dagabi Cucina, Bramble & Hare, Mateo, Foolish Craig’s, The Sink, CYCLHOPS Bike CANtina, The Academy’s chef, and the reigning chili champion: The West End Tavern. There are several family-friendly exhibits at the DAM including Stampede: Animals in Art on view at the museum through May 19, 2019. A Walk in the Woods is still on view, which coincides with Stampede, and includes animal-themed artmaking activities and after their summer break, Foxy & Shmoxy: Art Detectives, are back. Children have been really loving the gallery games and book in the exhibition Ganesha: The Playful Protector. Their Learning & Engagment department created a children’s book specially to be used while visiting this exhibition with children Go to https://denverartmuseum.org/ for more information.